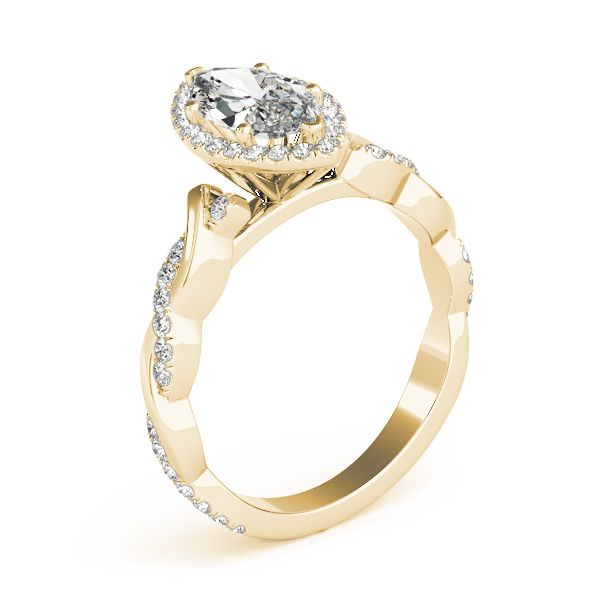 A halo diamond engagement ring setting with a petite intertwined cathedral alternating solid and diamond band. Shown with a 10x5 mm (approx. 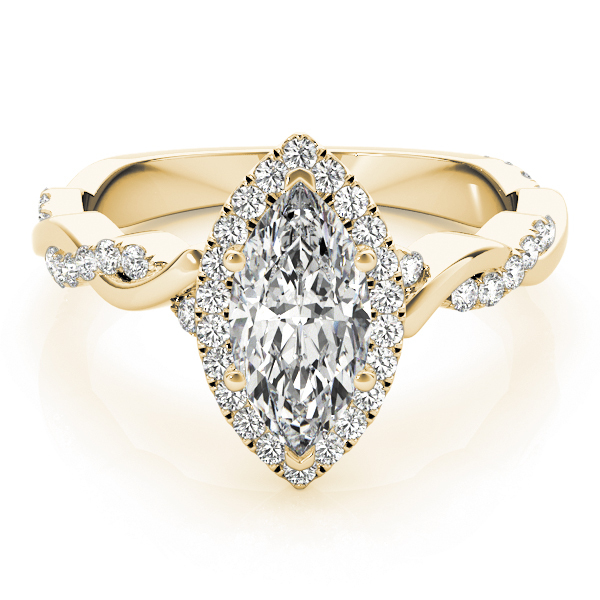 1ct) marquise cut center diamond.